"Some people are on the pitch... They think it's all over...it is now". 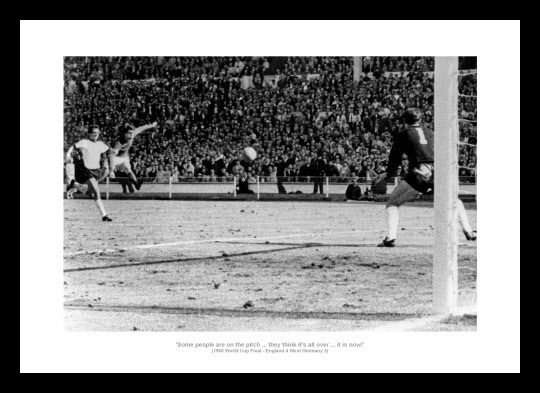 This superb photo of Geoff Hurst scoring England's fourth goal is accompanied by Kenneth Wolstenhomes famous quote.